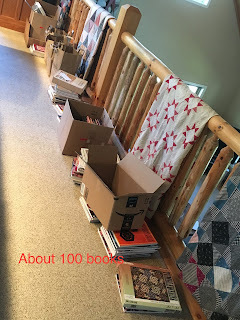 As regular readers know, since April I've been finding homes for what amounts to a small quilt shop (but in reality a life-time of quilting treasures of a dear elderly friend). At its peak my entire upstairs was covered, floor to floor with only small walking paths of excellent quality supplies. Ultimately I unpacked 60 some boxes, each weight 30-35 lbs. 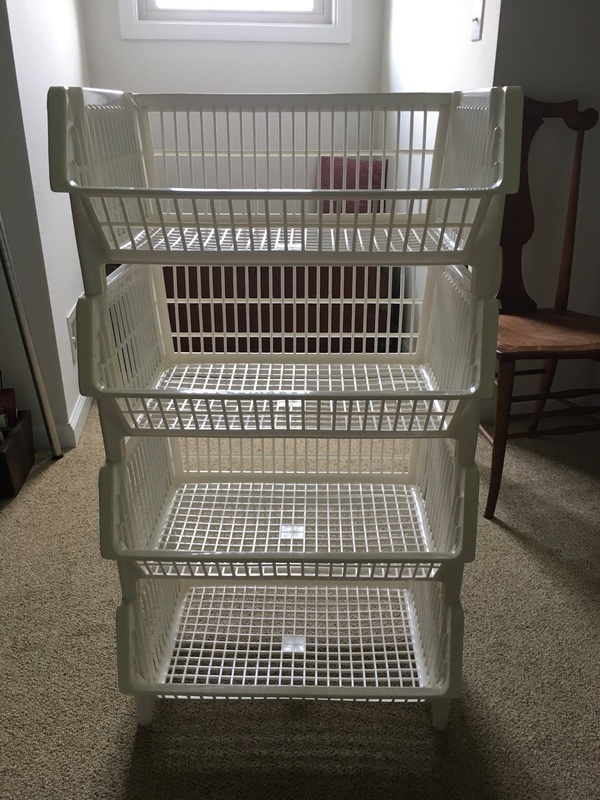 and a dozen large plastic storage bins. I'm reclaiming my space. 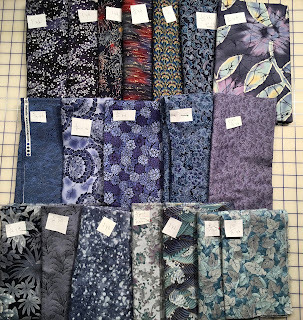 Well...almost...I still have some bundles left and have added some below in case you are interested in a super bargain.....and I mean super...this is all quilt shop quality fabrics. My freind is a scrap quilter so at times there is a hunk or strip removed from the yardage....it's noted and always measured from the smallest section. Often providing for more fabric than actually noted. 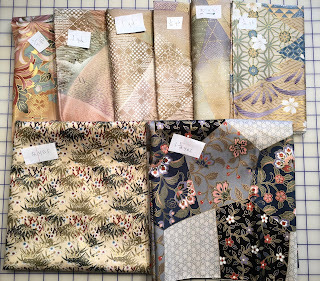 After these are sold, I'll list the final 3 bundles....all Japanese Sateen fabrics (pink/peach, blues, purples). After that I move on to the 80-100 finished quilts. My friend is an accomplished quilter. 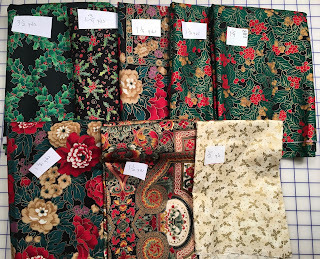 5 of her pieces have been accepted at the International Quilt Study Museum at the University of Nebraska! 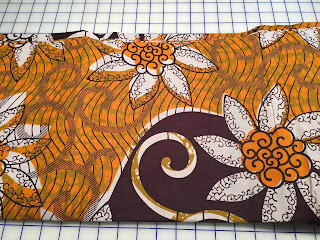 Selling as 1 lot...plenty of yardage for table cloths, napkins, gift bags, quilt backings, just to name a few. Mostly Hoffman and Kaufman screen prints. 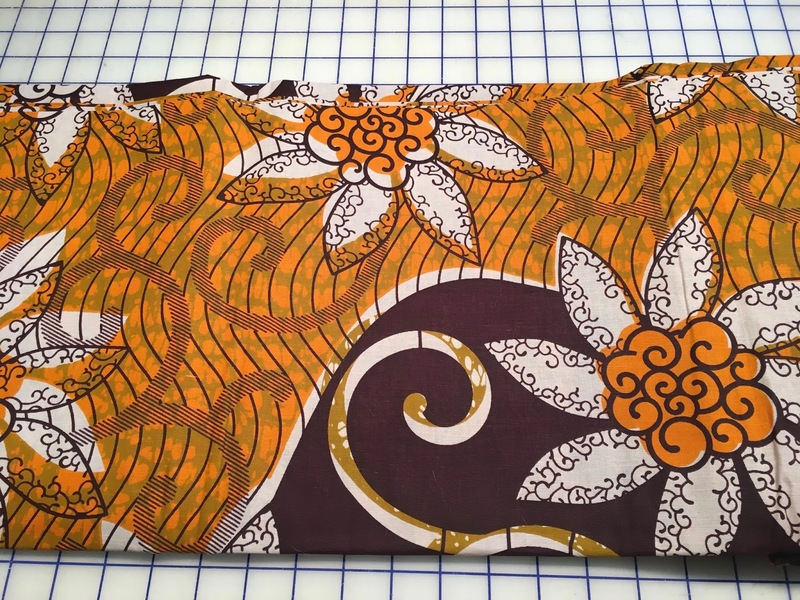 7 different prints - all feature gold metallic accents. 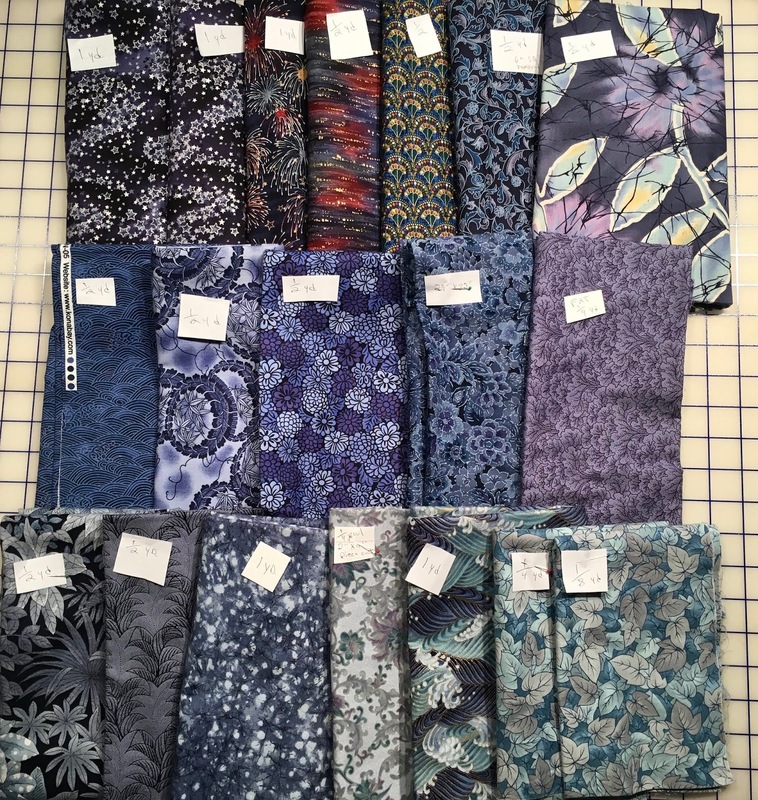 Total 11 1/2 yards .....all for one low price of $35. You can probably buy cheaper Christmas fabric, but not this quality....make your sewing time count! Selling as 1 lot - 7 1/2 yards - 8 different prints of high quality designer fabric such as Kaufman & Japanese made Kyoto. Cotton sateens. All feature gold metallic accents. Multi-colors which reads tans or "lights". **This is not satin....the name Sateen cotton is derived from the type of weave used to make the fabric...it provides a lovely softer cloth with a slight sheen.....so very appealing especially in wall quilts. 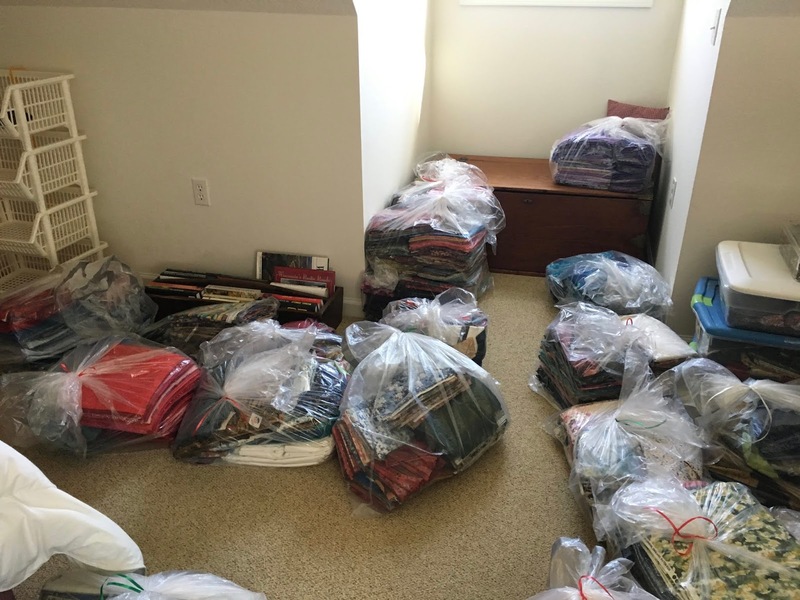 This is nearly the end of a huge stash I've been selling for an elderly friend who was a scrap quilter. The odd size of one reflects that passion....and is measured at the end of a cut, so there is more there then the amounts suggest. 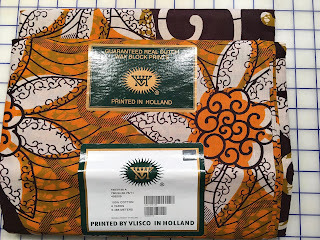 Selling as one lot - 6 yards of Real Dutch Wax block print - labels still in place on fabric. Estimated purchase date in the late 1980's in Holland where it's printed for the African market. ALL COTTON. 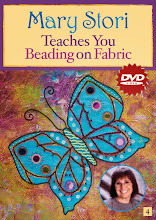 this is a message to us all - use your fabric! I am such a pack rat and hoarder when it comes to fabric and am reminded to use it and enjoy it while I can, now all those quilt tops - wow! Talk about UFO’s! Well said Robbie and Carol!!! The worst part of all this is the worry and concern my friend had for the disposition of her fabrics....she did not want them to go to waste. I'm happy to say as I come into the home stretch of this adventure.....so far so good....with a bit more to go! You are a kind friend to do this for your friend. I've left detailed instructions with my children what to do with my fabrics after I die. I was overwhelmed with all the stuff my mother left after she died, I don't want to place that burden on my children. 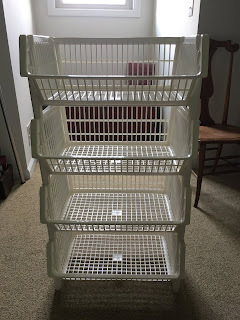 That is a huge job cleaning, organizing, photographing and selling! Holy cow! You took the bull by the horns and dealt with it perfectly! 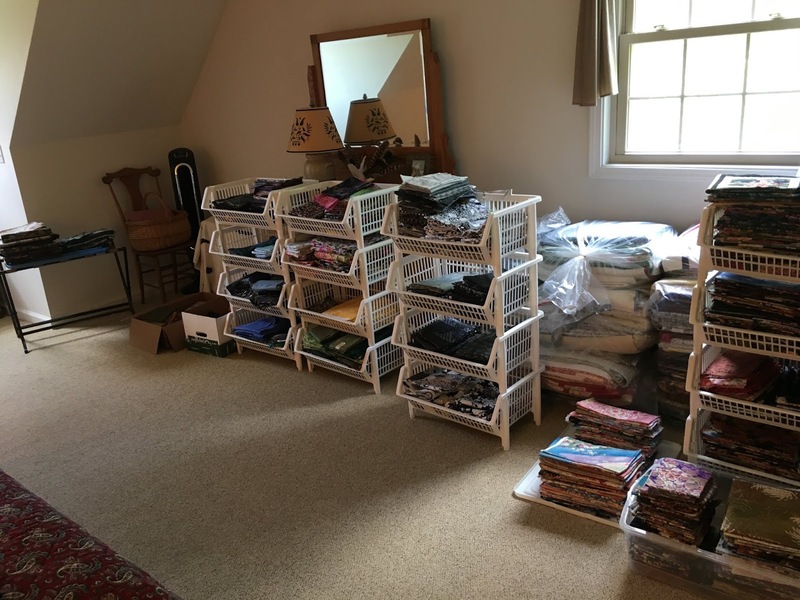 I've never accumulated tons of anything, even fabric. I've always been of the mind less is more! Good luck with the end of this crazy chore!! What a big job for you and you look like you are doing a great one. As I look around at all of my fabric, I shudder. I will never use it all in my lifetime. Holy cow!! You are a true friend. That is a lot of work and a true labor of love!